Growing up in Sunny Southern California in an era where skateboarding was just starting to become a reality. Brad Dorfman first stepped on a skateboard made of a 2x4 with a modified roller skate over 55 years ago. Several years later he took it to another level creating and and elevating skateboard manufacturing with new shapes, art and designs, making a dream become reality. Meeting and working with people who lived skateboarding as much as he did, working with all types of skateboarding skill levels from entry level all the way to professional from all around the world. Brad Dorfman has created brands such as Vision Skateboards, Vision Street Wear, Draven Footwear, Schmitt Stix, Palisades Longboards, Psycho products, Magic Skateboards, Smith Safety Gear and others, these are to name a few here at Select Distribution. Here at Select Distribution we manufacture in house from our very own woodshop, which was given the name "The LumberYard" USA. This gives us the ability to make new shapes, sizes and try things that others can't. We are so very proud to screen and transfer artwork to make awesome skateboards to ride. 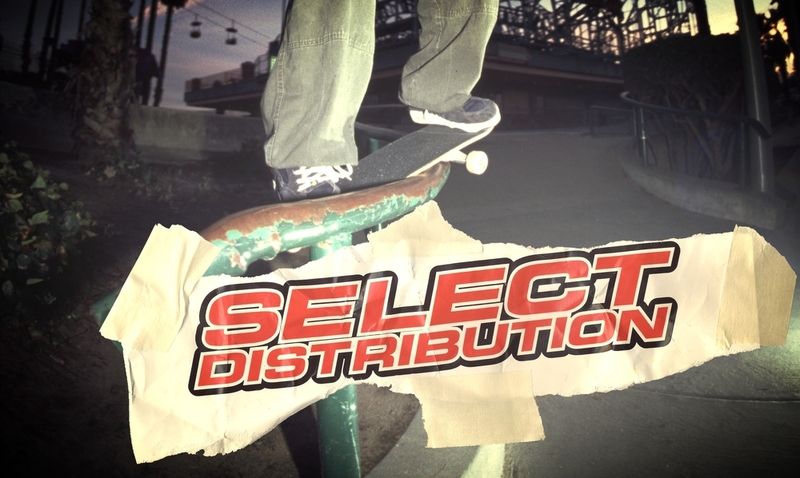 We offer a wide range of skateboarding products to accompany the decks themselves. We have Distributors all around the world carrying our products. If you are interested in any of our brands for distribution or your store, please contact us.